What are Spirit Guides and Angels? How do they communicate with us? 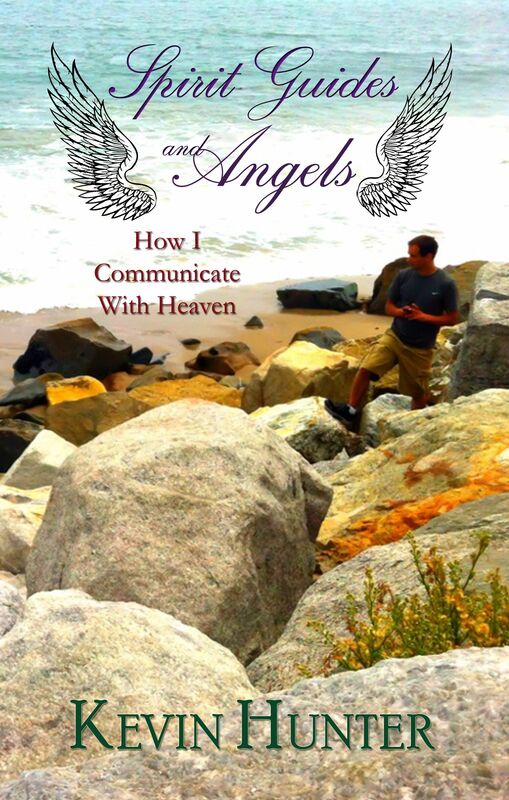 These are some of the questions that author, Kevin Hunter, answers in Spirit Guides and Angels: How I Communicate With Heaven. Hunter discusses some of his personal stories in how he receives divine guidance from the other side. Through this, the reader may recognize when they are receiving heavenly communication. He touches on the four basic clair channels, empathy, emotional detachment and what happens when you refuse divine messages. 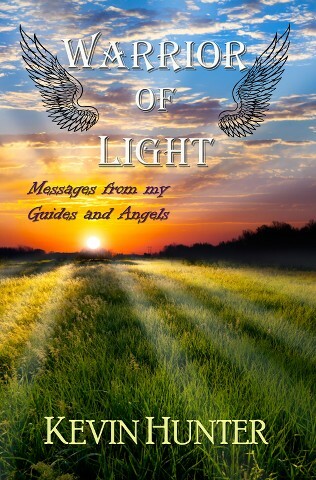 This small pocketbook is an enlightening read taken from the bigger book, Warrior of Light: Messages From My Guides and Angels. Everyone is interested in love and relationships whether they like to admit it or not. Even the most hardened human soul has fantasized about having a love interest or a partner in crime. One of the main reasons we are all here is to love and to learn how to love. This is not just in intimate relationships, but with everyone we come into contact with. 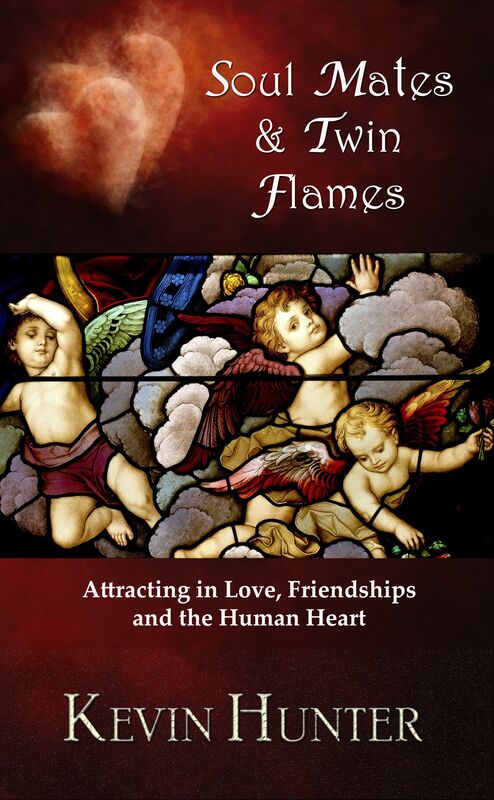 In, Soul Mates and Twin Flames: Attracting in Love, Friendships and the Human Heart, author Kevin Hunter touches on the topic of love and relationships by passing on some of the messages and guidance he has received from his own Guides and Angels on the topic. 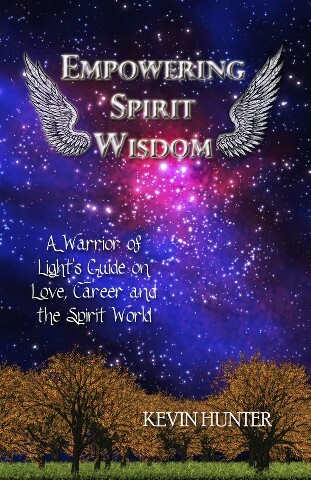 Included in this pocket sized informational book are some of the basics on, Soul Mates, Twin Flames, Dysfunctional Relationships, Reconnecting with an Ex, Karmic Relationships, Friendships, Loneliness, working with the Romance Angels and more! We live in a volatile, unstable and hostile world. The Light and Darkness are on an equal footing as we uncomfortably leave the last Dark Age. God’s creation, the world and all human souls are struck by harsh energies on a regular basis. This is due to the dark side of humanity ruling with its uncontrollable and disruptive ego. 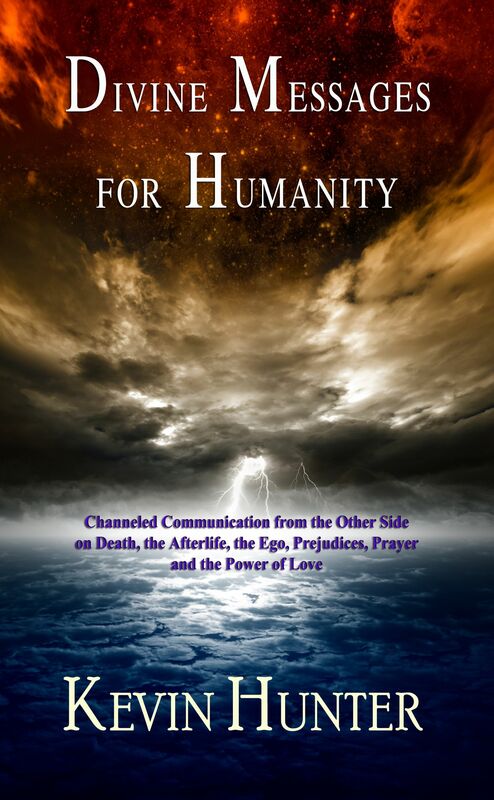 Author, Kevin Hunter, channels messages from the other side surrounding what Spirit has to say about humanity and what this life is all about. Some of the many topics brought to light are Hell and the Devil, the real monsters of society-the Ego, what happens to your spirit and soul when you die, Jesus, abortion, race and homosexuality. The Light’s ultimate message in the end is what the entire spirit world is bathed in and that is love. Fine tuning your body and soul opens up the portal to receive Heavenly messages and guidance. It also contributes to giving you more energy during the day to accomplish what you want. You look and feel incredible that you attract in wonderful circumstances, jobs, friendships and relationships of a higher caliber. You are happier and more optimistic. This positive energy enhancement shoots outwardly into the universe brightening up its atmosphere around you. This is hypnotizing and magnetic to others while becoming a recipe for tremendous situations to enter your life. 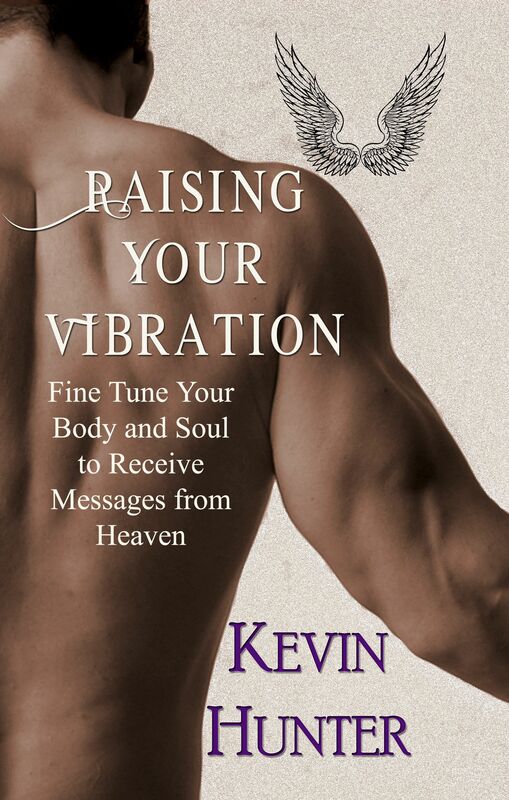 In Raising Your Vibration: Fine Tuning Your Body and Soul to Receive Messages from Heaven, author, Kevin Hunter discusses some of the guidance his angels and spirit guides have passed on to him that involve getting yourself into shape so that you can get your life in shape. Included in this pocked sized informational book are reminders surrounding exercise and fitness, removing addictions and negative substances, avoiding gossip, remaining optimistic, harsh energies, clearing the clutter as well as cord cutting, shielding, life purpose, divine timing, etheric creatures and much more! There are legions of benevolent Archangels in Heaven residing in other dimensions. They act as God’s arms to assist humanity one person at a time in achieving peace in their life. They know that when you are in a place of serenity that you are able to focus on your purpose without worry. They are infinite and can therefore be with everyone at once if you ask for their help. In this handy guide are featured sixteen of the more prominent Archangels. Kevin Hunter gives attention to each one of them by discussing their specialties. He weaves in his own examples of how he works with the powerful Archangels in his daily life in order to demonstrate their areas of expertise. This mini-book is an easy read under seventy-five pages. 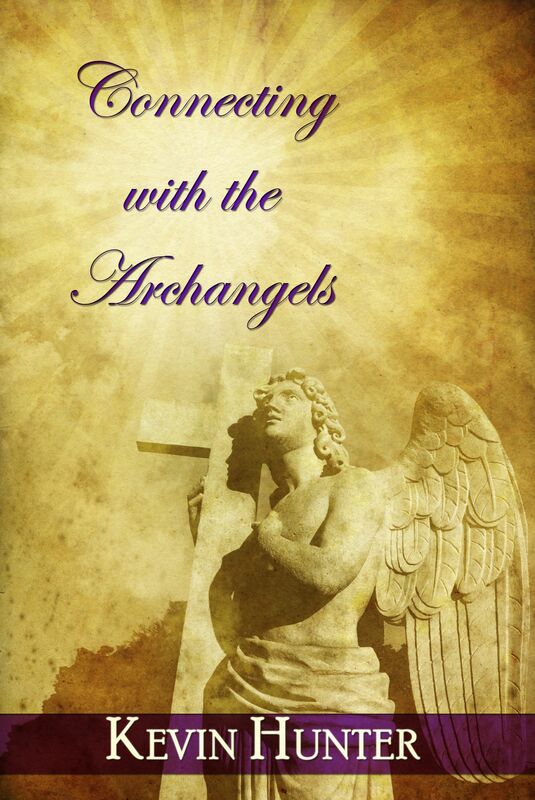 Connecting with the Archangels is a chapter from the Archangel section in the book, Warrior of Light: Messages from my Guides and Angels. Archangels featured: Archangel Michael, Archangel Raphael, Archangel Gabriel, Archangel Uriel, Archangel Nathaniel, Archangel Jophiel, Archangel Raziel, Archangel Ariel, Archangel Haniel, Archangel Azrael, Archangel Metatron, Archangel Sandalphon, Archangel Raguel, Archangel Chamuel, Archangel Zadkiel, Archangel Jeremiel. Posted on November 29, 2013, in Angels, Dude Lit, Heaven, Kevin Hunter Author Writer, Mediumship, Spirit Guides, Spirituality, The Other Side, Warrior of Light and tagged Kevin Hunter Author Writer, Romance Angels, Soul mate, Spirit Guides, twin flame, Twin Flames. Bookmark the permalink. Leave a comment.